After infrequent high profile appearances in AAA stretching back 2004, all of Jeff Jarrett’s cheating and anti-Mexican rhetoric will be paid off with him losing his hair on Sunday at Heroes Inmortales. Those include a couple of missed main events where he might have lost his hair prior, giving a match with little storyline intrigue some real-life suspense. AAA has failed to interestingly build up their matches on this show, and it’s the action in them or the trainwreck possibilities which will have to carry the show. AAA has Heroes Inmortales this Sunday night from Puebla, Mexico. The first match will take place around 6:30 pm local, which is 7:30 pm Central Time in the US. 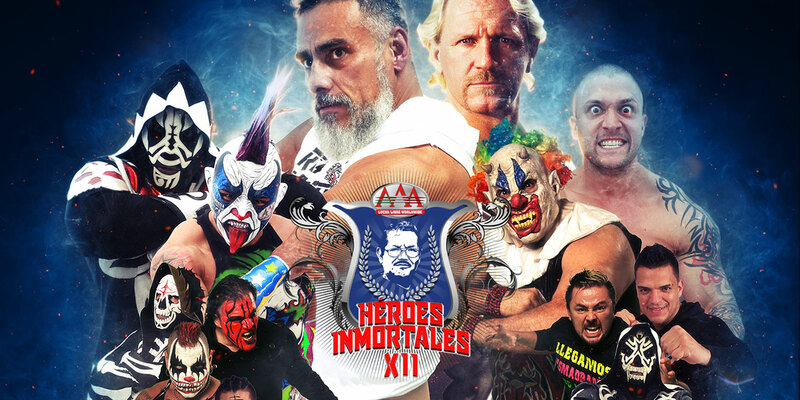 Heroes Inmortales appears to be the last of the five major events AAA will run this year. It’ll air on Twitch live and be available on that service for subscribers. 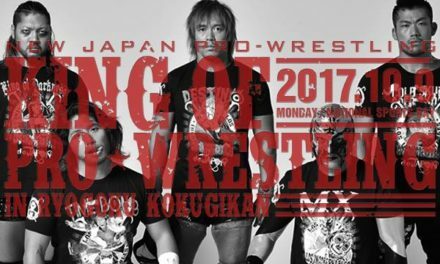 The event will also be on AAA’s YouTube channel, though perhaps not until 2019. Heroes Inmortales is a six match card. 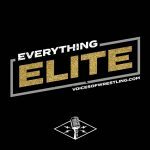 That doesn’t really capture it though: every match besides the main event is overstuffed with people on the show just to be on the show. 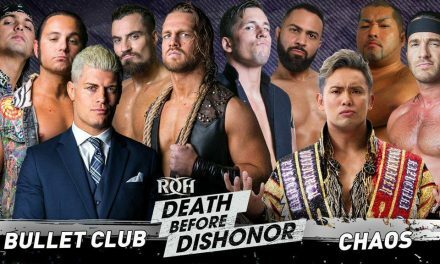 It’s AAA choosing quantity over quality on a big show again. AAA is also being a bit messy: there have been no less than four different versions of this lineup, and zero public explanations of any of the changes. I’m going off the one they’ve been promoting most recently, but there’s still a couple of holes. Might as well start off with some typical AAA scattershot storytelling. The follow up to Lady Shani’s big apuesta win over Faby Apache was Shani losing a title challenge and fading into the background. Meanwhile, Apache is a pseudo-face, defending AAA against Lucha Libre Elite’s Keyra and Starfire. The diminutive Starfire is the luchadora revelation of 2018, adding highlights action in the multiperson matches she’s often thrown in. Keyra is the obvious successor to the Apaches style—hard hitting with the occasional big suplex —but missing Faby’s connection to the crowd. This is an easy great match stylistically, as long as the fourth woman doesn’t drag it down. That might be a problem. The fourth woman looks to be Scarlett Bordeaux. Her visit to AAA last month (and a smartly chosen still image) led to a YouTube video getting 7 million views and she’s been announced as returning on this show. Bordeaux was pleasantly OK in the trios matches she worked on that trip, but a four-way title match with three people she hasn’t worked a lot with would be asking a lot of anyone. This is a near repeat from TripleMania. There was no particular reason for that match. There is no particular reason for it this time either. Poder del Norte only made it on to this show because a trio of Puma King, Juventud Guerrera, and Australian Suicide was removed. They are the trios champions, this is a trios match, and they won’t be defending the titles. (They haven’t defended them since January.) 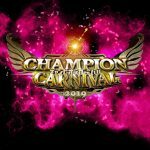 Maximo’s exotico team are still feuding with La Mascara and his friends, but once again aren’t wrestling on a big show. 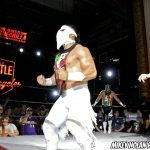 Aerostar & Drago have already split up as a team – more a “we’re not winning anymore, let’s go our separate ways” than a feud – but are teaming here anyway. Laredo Kid was set up for a title match with Fenix, which seemed like a great idea. Fenix hasn’t been back since, may not be back this year, and so Laredo is just back to hanging around in matches. This card contains quite a few hints of a schism in AAA’s creative process. Whoever is putting the cards together for AAA’s TV isn’t the person putting them together for the big shows, and those people have no intention of working together for a common vision. It makes for a product that’s unsatisfying to follow, but AAA doesn’t seem too bothered. MexaBlood won a brutal four-way ladder match at TripleMania to get this championship match. Everett & DJZ lost that match. Both are getting the same shot by AAA logic. At this point, I think I’m just writing this preview to document how nonsensical AAA booking has become. Or maybe this is all a cry for help. Everett & DJZ are theoretically here as Impact representatives. Only Everett’s left Impact since the match was announced and DJZ hasn’t been used there for months. With Everett announced as appearing in Ring of Honor, this could be the final match for the short-lived Z & E team. Rey Escorpion & Texano have the look of a great basing team. They’ve infrequently lived up to that potential in this tag run. Their matches are much basic heel antics and heavy interference of unexplained second Samoano than action. This looks on paper like it might be a show stealer given the level of the two tecnicos, but history says not to get your hopes up too much. The US team would’ve been unlikely to win under any circumstances. Flamita & Bandido are part-timers in AAA and are off to Dragon Gate soon after this show, which means the outcome should be obvious. Except that’s not how titles seem to work in AAA. Sammy Guevera won the AAA Cruiserweight Championship at TripleMania, hasn’t wrestled in AAA since, and – given his own Japan tour – won’t be back in AAA this year. As noted, Fenix is the heavyweight champion and he’s not around. Mexablood winning the tag titles and disappearing would fit right in. AAA’s annual match to honor its founder is usually held under Royal Rumble rules, though it hasn’t been specially made clear this year. The people in this match include most everyone who has nothing to do. That includes TripleMania loser Hijo del Fantasma, who’s been given a new faction and a new look, and no particular purpose. A win here might give him one, but Fantasma won this same match last year and is unlikely to do it the same. The default pick is usually La Parka, but he’s finally been downplayed the last few months. Pagano has taken over his role as a #2 face behind Psycho Clown and hasn’t won this yet. It’s probably his time. Dragon Bane is the unknown name to watch in this tournament. Hijo del Vikingo might be a bit better flyer. Dragon Bane’s had the better year of matches. Bane’s had the freedom to wrestle Mexico City indies and getting to wrestle other high flyers the same time as Vikingo’s been working AAA C-house shows. Dragon Bane has a good case for a Wrestling Observer Newsletter rookie of the year votes, though the rules of the WON rookie of the year eligible people like Bane will be obscure to actual get votes. This match is going to be exactly as good as these guys get time to work with rudos like Parka Negra, Super Fly, and Averno. Murder Clown & Killer Kross are both tall guys, so the rules of lucha libre means they must feud. Or, in this case, they must stare at each other to tease a fight for months before AAA gets around to actually having them fight book it. AAA wasn’t actually going to do it here either: this match was originally Kross & Murder vs Psycho & LA Park, teaming people meant to feud for no good reason. LA Park & his son have since vanished from this card, something LA Park has acknowledged but obstinately refused to explain. Park out of AAA for any length of time has much more consequences than this soon to be forgotten tag match: LA Park vs Dr. Wagner is already the main event for the 2019 version of TripleMania unless LA Park is also already out of AAA. It’s LA Park, so anything is possible. The mystery person possibly in his place looks to be Blue Demon. 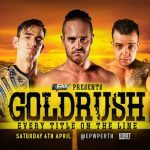 Demon has been announced as a appearing on this show in some way. Demon was a surprise fill-in for a no-showing Dr. Wagner on a recent AAA TV taping, turned rudo on Psycho Clown, and then cut a promo on Psycho, so he’d fit right in. If LA Park’s absence is more than temporary, Demon might also fit into that TripleMania main event. Blue Demon/Dr. Wagner Jr. might also be terrible. It’s hard to remember the last good Blue Demon match, or that there ever were any. Demon as a replacement mask would mean as much to TripleMania as LA Park because of the family history, but he’s not a guy who sells tickets to shows just to be there. There are people who are famous and there are people who sell tickets, and those aren’t always the same people. This match is probably not going to be good. Kross has seemed to work best in AAA when he can throw around people. That’s not going to work with the clowns. 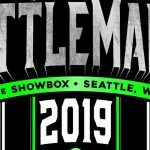 This should be a lot of brawling in the crowd to avoid looking bad in the ring – but the main event is going to have to be the same, so maybe this will have to be something else. I don’t know what that could be. The 2014 edition TripleMania was to feature Jeff Jarrett in a multi-man apuesta match. Jarrett’s flight was delayed, and Electroshock lost his hair. It’s never been clear if Jarrett was supposed to lose, though that’s the way the story seemed headed. Flight issues can’t be blamed on Jarrett, though choosing to wait to the day of a major show to fly-in can be. Jarrett feuds with Zorro & LA Park in 2012 similarly went unresolved when he just wasn’t at AAA shows anymore. The 2018 version of Jeff Jarrett has been professional and has not missed a show yet, but bad history isn’t easily forgotten. This is the one AAA match on this show with a coherent build. Possibly related, most of it has come on the bigger shows, and it’s ending on a big show. Jarrett beat Wagner for the AAA title back in June, cheating with some help from the returning Konnan. Wagner repaid the favor by costing Jarrett the AAA title at TripleMania. Jarrett caused Wagner to bleed a disturbing amount in their one TV match since. The idea of Wagner putting up his hair for the first time could be a draw in Puebla, but the match itself will be a struggle. Three other wrestlers, a heel referee, and many guitars couldn’t hide Jarrett from looking old at TripleMania. He and Wagner showed no chemistry in their recent TV match, and Wagner’s long past the days where he could carry this sort of match on his own. It’s going to take a lot of help getting involved to have a watchable match; every other person on this show might all end up running in to save this one, and that’s before the referees get involved. Jarrett/Wagner will be a quintessential lucha libre where it’s fun to cheer the good guy and boo the evil foreigner from the crowd and an amusing farce on a stream. 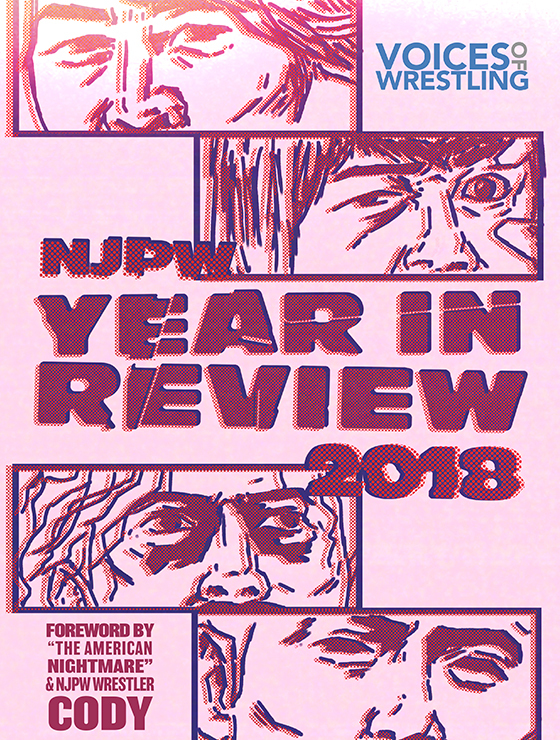 I’ve written these previews this year as if it’s important to know what’s going on AAA to appreciate the matches. The deeper I’ve gotten into this one, the more I believe that might be the opposite way to go. The less you know about how the three-way trios don’t fit the stories AAA are telling, the more you are to just take it as a popcorn match. The less aware you are of how the outcome really shouldn’t be in any doubt in the tag match, maybe the more you’ll just focus on every GIF-worthy highspot. AAA is ending the year with a talented group of wrestlers and not a lot of helpful creative energy in promoting them. 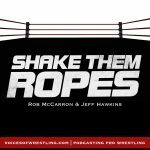 If you’re a person willing to enjoy matches out of their context, this is a strong show to just watch, enjoy and not think all that much about. If you’re a person who’s paying attention to AAA, you’ll see the same matches, but under a cloud of wastefulness and missed chances.